Recently I’ve been in talks about buying a new car because my old Toyota just cannot handle the road anymore and it has to go. Since I don’t have too much money I’ll need to limit this new purchase to a maximum of $10000 dollars and for this kind of money I think anyone can get a pretty nice car. Therefore, let’s waste no more time and take a closer look at some of the best used cars under 10000 and see which one I’ll end up taking home. 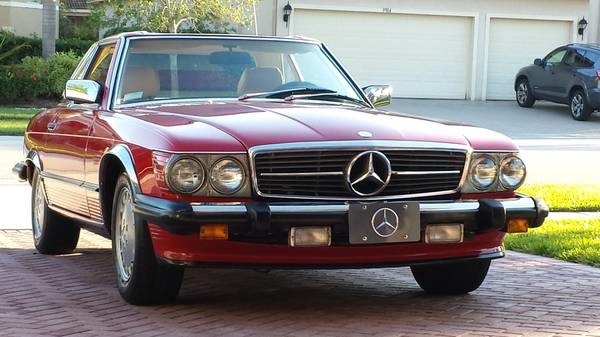 Classic 1986 Mercedes Benz 560 SL – Best Cars Under 10000 Dollars on Craigslist Cars I using Craigslist Santa Barbara cars, I browsed the listings and used the filter function to search for cars in the 10,000 to 15,000 dollar price range. I also searched for luxury and classic cars by keyword and looked for specific luxury cars such as Benz, BMW, Audi, and Lexus. And here are some of the best used cars under $10000 that I found. Mercedes 560 SLLaunched almost 20 years ago in ’84, the Mercedes Benz 560 SL is also available as a convertible coupe. The car was developed specifically for the American market and with an engine capable of 277 HP. The 560 SL can reach from 0 to 60 Mph in just 8 seconds. Don’t think that if it was manufactured 2 decades ago that it doesn’t have features you’d find on most modern cars nowadays. The 560 SL comes with an improved climate control system, leather trimmed shift lever and steering wheel, an anti theft alarm system, anti lock braking, high quality leather upholstery, revised steering geometry and a limited slip differential. This car was a luxurious vehicle that was known for its refinement, performance and commitment to style, traits that seems many young and old drivers alike greatly appreciate nowadays. 2008 Dodge Charger Sporting a comfortable and roomy interior with a modern exterior styling that’ll make you want to know more about it, the 2008 Dodge Charger is no doubt a power performer. Dodge Charger What does save this car from being disregarded by muscle car lovers is its retro muscle car look and the more powerful engines that you can get with the top of the line models. The engine options go as high as the 6.1 liter Hemi V8 that sports a massive 425 HP. This is enough to have your eyeballs moving to the back of your head when you step on it on the highway. If you have the money to spend, you can invest in better interior options which will certainly make this car one you are proud to own. I saw this car at a local car dealer and I have to say I was impressed by it from a few points of view. This is quite a roomy mid-sized sedan and while it’s not quicker than the Altima nor is it family oriented. It does pack a very unique design that I like and a massive 265 HP V6 engine. I’m a speed demon and I definitely like cars with a lot of HP and in this regard the Maxima SL is definitely what I want. Now taking a closer look at the interior I have to say I found the Maxim SL to be pretty comfortable with seats that are luxurious and supporting, not to mention the innovative overall design. It has a sky view roof which most of us will love, since it just makes the driving experience better for the passengers. The front seat passengers benefit from the highly popular ABS system Nissan is so famous for. The car also comes with a TCS as a standard, making it that much more of an attractive car. Toyota Tundra may be exactly the type of car you’re looking for. Featuring a 140 point five inch wheelbase and having a total length of 230 point one inches, the Tundra is definitely a fairly big car that makes a statement on the road. If I’d have one word to sum this car up, that would definitely be “comfort”. Why do I say that? Well, it’s because compared to most other cars. The Tundra offers you thirty seven point five inches worth of rear legroom, while other cars offer you anything between eighteen and twenty one inches. This makes those long rides far more comfortable and relaxing. Let’s not forget about the massive 4.7 liter V8 engine that packs a great 240 HP and 315 lbf ft. Getting from zero to sixty miles per hour in this bad boy takes just 9.2 seconds and even though compared to other cars of its kind it is a bit slow. It does make up in the comfort department and ruggedness. All in all, this is a great car for long drives that I’d never hesitate taking for a spin. If you’ve driven a few small car models by now and then jumped right into a 2010 Honda Civic. I bet you were surprised as much as I was of its incredible level of refinement, sophistication and frugality. This model seems to be offered only in a hatchback style and if you want it. Then you have to ready your wallet for this beauty since it’s amongst the most expensive small cars you can get. 2010 Honda Civic , 4 Door In terms of how powerful the engine can get. There are a few models you can choose from. For instance, if you don’t mind trading fuel efficiency for more HP, then the 2.0 liter engine packs 197 HP (the Si model), has a great front wheel traction and a 6 speed manual gearbox. The MPG rating for the manual gearbox is 34 MPG, while the automatic is anywhere between 26 and 34 MPG. This car left its mark on me and it does take a top spot in my list for the car I’d like to drive. After going through all these cars, it was a bit hard for me to decide on just one. I was left with the Dodge and the Honda Civic which are quite different from one another. The Dodge pulled me in one direction due to its looks and engine HP. But the Honda pulled me in the opposite direction, because I liked its interior, fuel economy and overall experience of driving it. If it weren’t for my sister , I would’ve gotten the Dodge. But hey, the Civic does its job very well and I’m happy to own one!